Every Spring, the prestige car world descends en masse to the luxury resorts of Florida’s Amelia Island. The internationally-renowned Concours d’Elegance is (alongside Pebble Beach’s similar week-long show in August) one of those events you just can’t miss. Among the myriad displays throughout the week, one of the highlights of the Amelia Island celebrations are the auctions. In fact, the Floridian resort has seen numerous world records broken over the years, making it one of the hottest places to land your hands on a piece of automotive history. Often left in the shadow of the hugely desirable – and ridiculously rare – Type 57SC Atlantic (which acted as the inspiration for this Ralph Lauren timepiece), this 1937 Bugatti Type 57S Cabriolet was one of just four such cars bodied by French coachbuilder, Vanvooren. It’s stunning art deco lines were penned by Ettore Bugatti’s son, Jean and they don’t just look good. For the time, they were pretty aerodynamically efficient too. Built as a rule-bending homologation special, the Porsche 911 GT1 set the tone for the crazy mid-Nineties sports car category of the same name. GT1 was meant to be a series for road-going supercars (like the McLaren F1), converted to race spec. Porsche had other ideas though. The wizards at Weissach instead built a race-ready weapon that they then converted to road-going spec, satisfying the rule book’s wording (if not it’s spirit). Just 20 examples of the ‘Strassenversion’ were ever built and while it’s rare to ever see one, it’s even rarer that they come to auction. Therefore, it’s not much of a surprise that Gooding & Co. sold this particular example for $5,665,000 at their 2017 Amelia Island sale. It’s usually the job of Fifties and Sixties Ferraris to procure huge spending from collectors. However, at the 2017 Amelia Island sales the moniker of ‘Most Expensive Prancing Horse’ instead feel to a Nineties poster car. This Ferrari F50 (one of just 349 ever built) was originally delivered to legendary boxer, Mike Tyson, the infamous heavyweight champion putting the majority of the 5,694 miles on the car’s clocks. 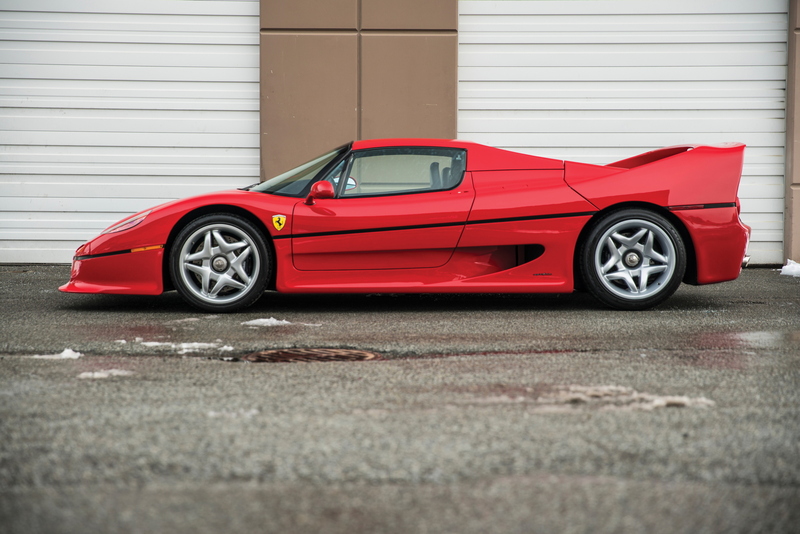 Fastidiously kept since by number of Ferrari dealers since, this particular F50 remains as one of the best examples of the howling V12 supercar and was snapped up for a mere $2,640,000 at RM Sotheby’s Amelia auction. In comparison, a Ferrari F40, the modern Ferrari of choice for many collectors, realised ‘just’ $1,485,000 at Gooding and Co’s sale last week. The late Eighties icon had done just 1,600 miles since new and was one of just 219 Ferrari F40s ever built by Maranello. However, this wasn’t enough to overcome the effect of a famous first owner and vault it above its successor in the value stakes. It may have been nearly four years since we were first introduced to the holy hypercar trinity but it seems that age has not dimmed people’s enthusiasm for these hybrid-powered land shuttles. 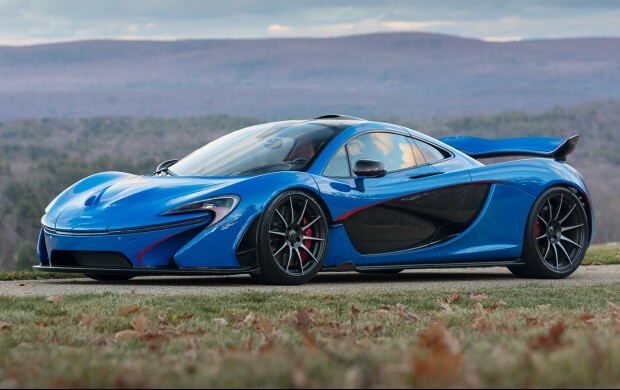 Painted in a rather eye-catching metallic cobalt shade, this McLaren P1 realised $2,392,500 at Gooding’s sale. Considering the original US list price was $1,150,000, that represents a pretty impressive ROI. While classic V12 Ferraris faltered under the Amelia Island hammer, it wasn’t all doom and gloom for retro Italian exotica, as this gorgeous Maserati A6G/54 Coupe Series III by Pininfarina proved. The name may be a bit of a mouthful but it’s hard not to deny this particular car’s beauty and condition. 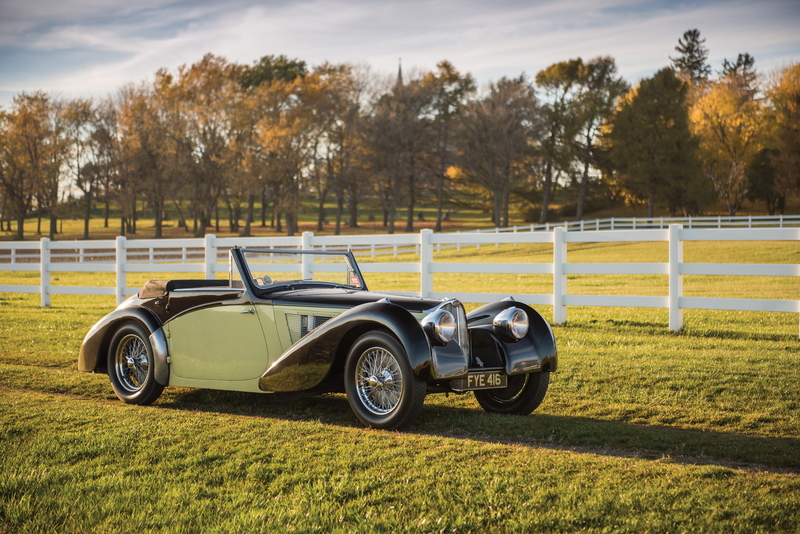 After a painstakingly intensive restoration, this A6G Coupe was entered in the 2014 Pebble Beach Concours d’Elegance where it duly won its class. 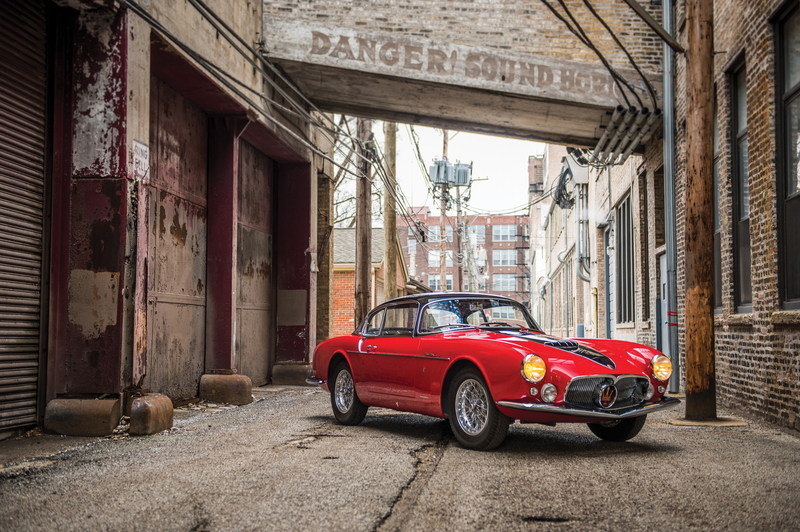 Originally used as a display car at the 1956 Turin Motor Show, this Maserati is powered by a 2.0-litre straight six engine originally developed for racing purposes and is one of the last cars built while the Maserati brothers still watched over the company. The new owner walked away from Amelia Island with $2,365,000 less in their pocket but none the poorer.